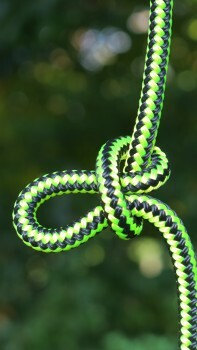 A very useful knot to know as it is very quick to tie and can be undone from a distance. It derives its name from the sailors tool for undoing what is now called whipping but was then called marling, thin cord wrapped around the end of a rope to stop it from fraying. Both the bird and the fish get their names from the marlin spike tool due to their pointy resemblance to it. This knot is directional depending on which side you pull the bight through from. There’s no need to hit the volume as this video has no sound.